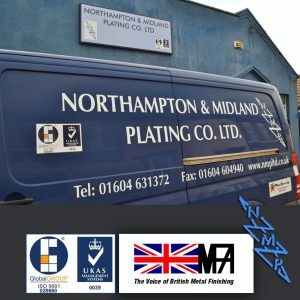 NORTHAMPTON AND MIDLAND PLATING COMPANY, an ISO 9001 accredited company, offers a comprehensive range of metal finishing services to engineering, automotive and fabricating manufacturers. 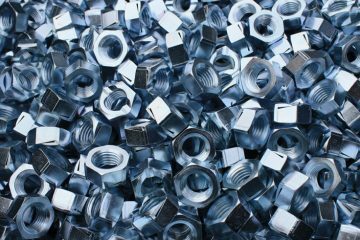 Process control and thickness measurement using the LATEST X RAY FLUORESCENCE TECHNIQUES are employed to ensure quality and efficient processing of customers parts. 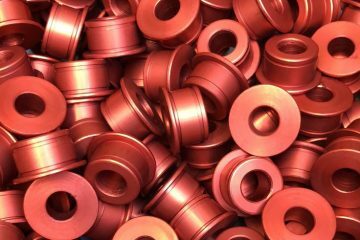 Flexibility and awareness of our customers turnaround requirements have allowed us to provide an experienced comprehensive service over many years. "Really good service - collection, delivery and high quality finishes"
"Always a fantastic, prompt and professional service"
We offer an extensive range of finishes using both modern and traditional methods. 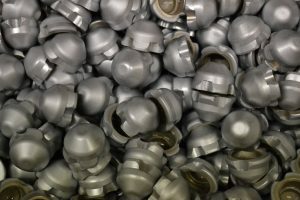 We constantly evaluate our methods to ensure accurate and consistent tolerances are met and adhered to from the first unit to the last. 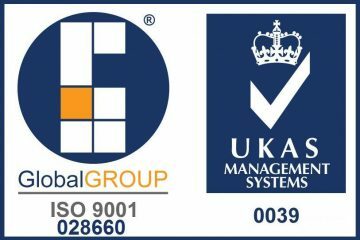 Our consistently high quality standards have led to us becoming the approved and preferred suppliers to many of our customers. The latest finishes from N&MP Co. Ltd.